Fish School is an app for your iPad (iOS 3.2 or later) from Duck, Duck Moose currently $1.99. An app for toddlers and preschoolers, it features colorful fish that swim along and teaches the basics –ABC’s, numbers, and shapes (& more). At your tap, the fish swim into the various letters or shapes (think “Finding Nemo”). You can also tap the balloon in the left lower corner to easily change the game you are playing. 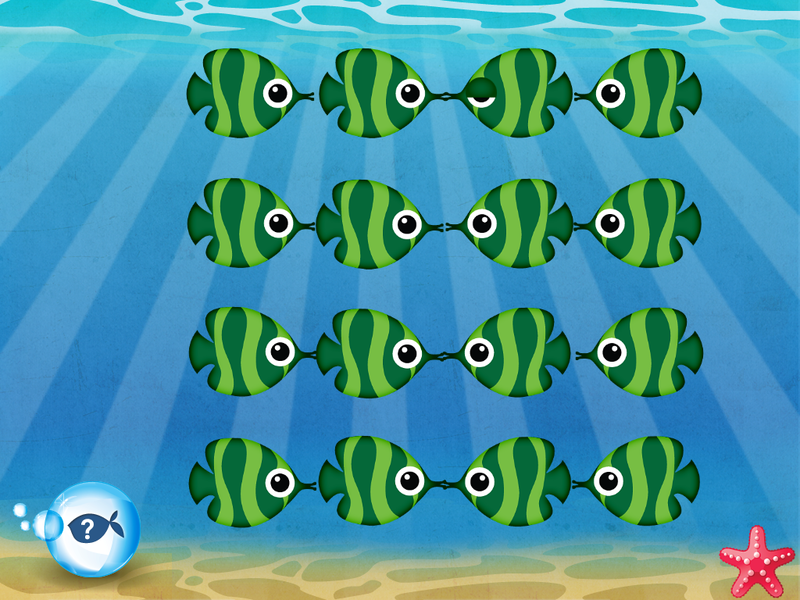 The app has a fun ‘play’ setting that allows students to touch the fish for different reactions. 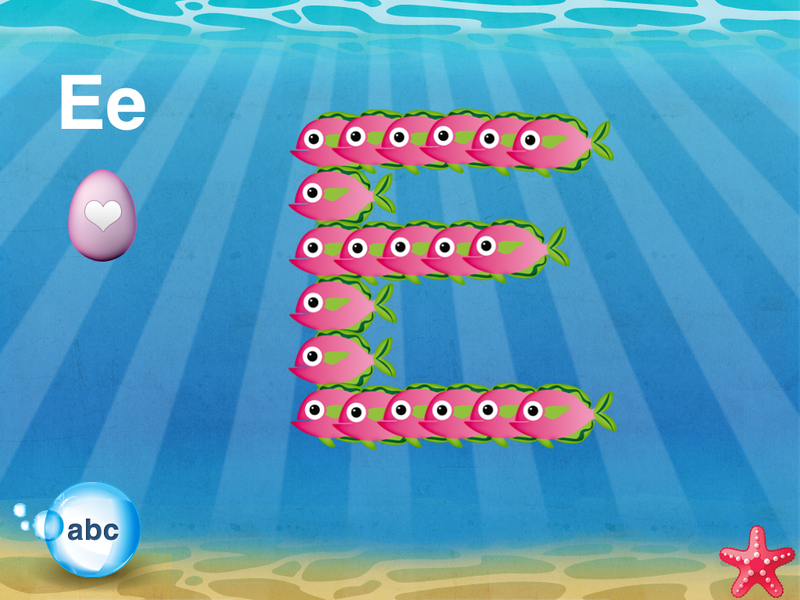 There is an ‘ABC song’ option that sings the song while the fish form the letters to the song. There is a neat color game that allows you to tap a fish and then all the fish turn that specific color. It is a cute way to reinforce color learning. There is a ‘spot the difference game’–which seems to me to be at a just right level of ease for our kiddos. 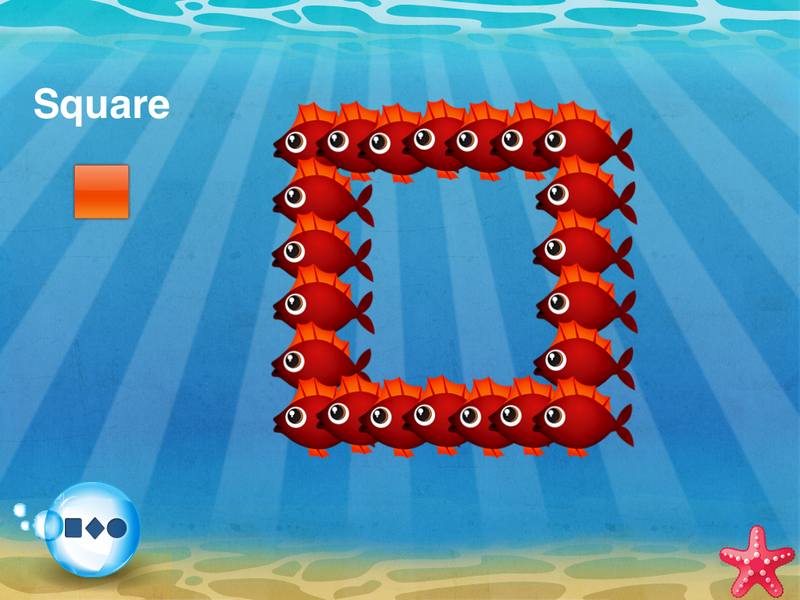 The ‘matching game’ is a memory game–you tap the fish to reveal fish underneath. 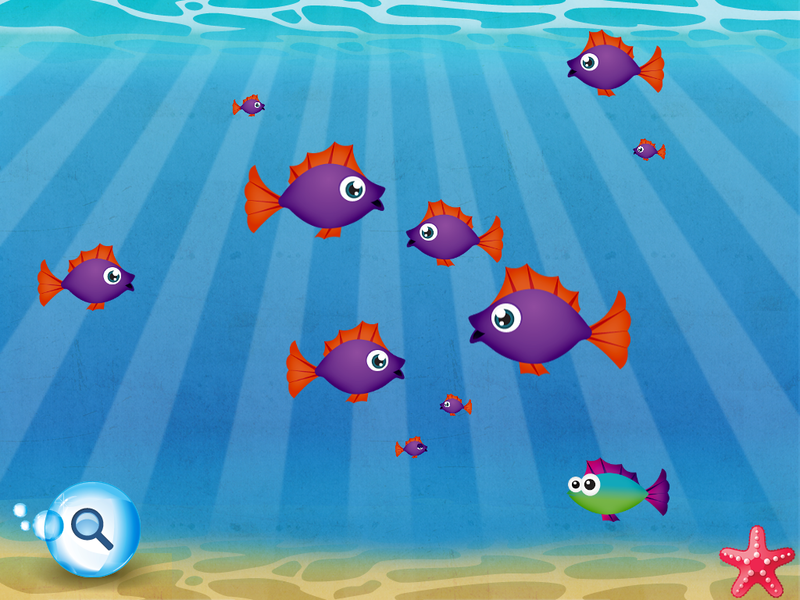 Fish School offers a nice range of games to Fish School offers a nice range of games to work on early educational skills. I like that it requires either a simple isolated finger touch or a general tap/swipe to the screen. This second aspect works nicely with some of our more physically challenged students. The graphics are colorful and tunes are soothing (violin and cello). If you work with young students, I recommend you check out this app! Carol Hesch, OTR is an occupational therapist of 23 years with a passion for helping children learn. She has experience in pediatric acute care, rehabilitation, early intervention and school based therapy. As a member of an iPad team for a large school corporation, she has been exploring the use of mobile technology as a “new age” modality with her students. This entry was posted in App Reviews, Apps for OT's, Early Childhood, Fine Motor Development, Finger Isolation, iPad, Occupational Therapy, School Based Interventions, Special education, Special Needs, Uncategorized and tagged App Review, Early Childhood, Fine motor apps, iPad, occupational therapy, special education. Bookmark the permalink.